Hoopin’ with my bros once again. I always remember and cherish all the basketball games, me and my friends in high school played during PE classes twice a weekand in Intramurals each year. Victories and defeats. Good and bad games. Falling short and rising again. You name everything that may happen in a basketball game. However, with every game played, the brotherhood gets stronger and bonds are made that lasts a lifetime. We have gone different paths after all was said and done, and today, me and my PEEPS got together once again as we have been doing so since we went our own ways and played hoops once again, it’s been almost three years since we played a game together. It was also time to catch up with things that have been happening with us from the last time we all got together, especially for one of my friends who came back from Cebu for Christmas. We played our first game on midday at a basketball court inside one of my friends’ village, it was at first a 4 on 4 full court battle, until two of my other friends arrived and it became a 5 on 5 match-up. Our team won the game and I scored a couple of baskets, but the defining moment for me in the game were the TWO BLOCKSI had in the game, the most notable of those blocks was a block on a three point attempt from behind the guy taking the shot, after that block, he struggled with his shooting.The other block was on a short jumper also from behind the guy taking the shot. I had some of Serge Ibaka’s genes on those blocks. It may not be a LeBron James chasedown, but both blocks were specialand the fact that I have not made a block in a game in 5 years.After the game, we took a rest from the action, and then played another 5 on 5 battle with a different set of players, but it was only a halfcourt game. Unfortunately, on the second game, our team lost and the guy who I blocked at the three point line got his groove back, maybe he wanted to exact revenge on me after that block. After the games, we took a long rest at his home, before heading out for lunch where we had more time to catch up and talk about our life stories in college, as well as relieving some memories of our days in high school. After a long discussion, we went our separate ways to our homes. So once again, I thank JL, Aldrin, Francis, Gelo, Patrick, Nur, Ichi, Miko and Josh for the great time spent and all the hoops. Until our next trip/reunion! Who said it’s the END? I say, it’s just the BEGINNING of something BIG! Yesterday was December 21, 2012 and the date rings a bell, as some people believe on that day, the WORLD will come to an END as predicted by the Mayans (which they categorically denied) and popularized by the movie “2012” which was released in 2009. Yet, today is December 22, nothing bad happened, no doomsday scenarios happened, and we‘re all alive and well, and I’m here to share what happened on that day. Well,before Thomasians head for the Christmas break. One special event happens here, a time for celebration and joy, that is the annual Paskuhan where thousands of Thomasians as well as our friends studying elsewhere and families converge in UST for a day filled with the spirit of Christmas. The day began with our class Christmas party in the morning, where we had games like Eat Bulaga’s Pinoy Henyowhere unfortunately, me and my partner lost causing us to do a dance, and I get to show them my version of PSY’s record-breaking hit “Gangnam Style“. Other games include the newspaper dance and stop dance, as well as our traditional singing contest among the ladies. Then we had lunch, as well as a rafflewhere the grand prize was a Jansport bag. Unfortunately for me, I never won in the raffle, even the minor prizes I did not won at least one of them. Then came the exchange gifts. For me, I gave a book to my blockmate who I drew up with in the lottery. 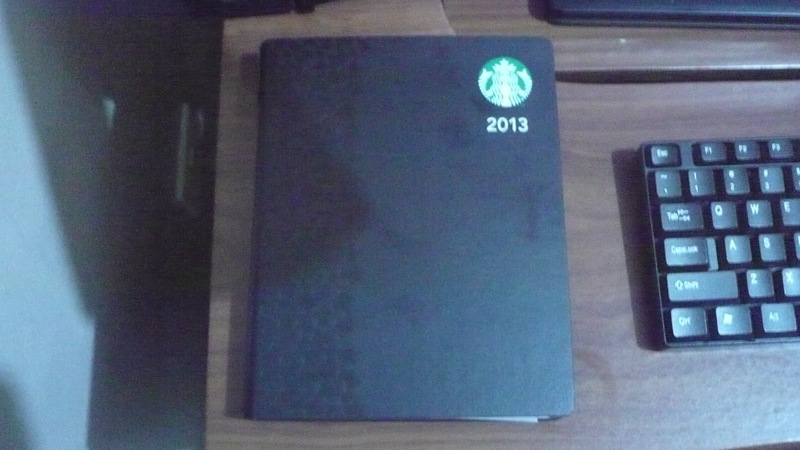 Then on my end, I also received a book from my blockmate. 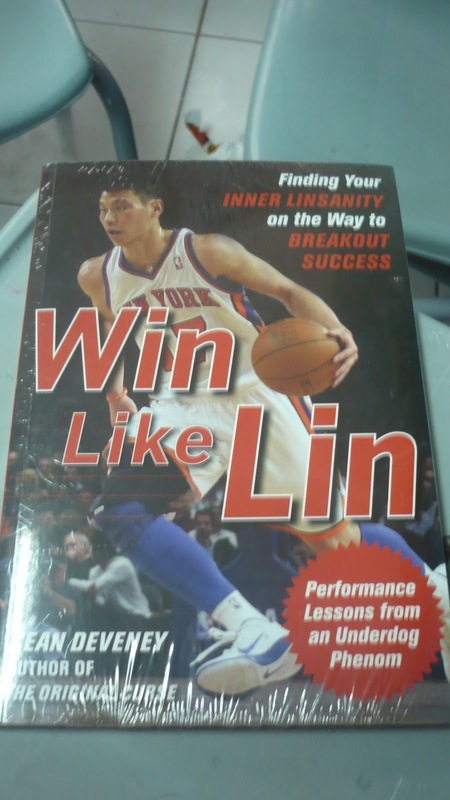 The book is entitled “Win Like Lin“, a story about Jeremy Lin, the “Linsanity” story in New York, and the keys to his success. Of course, I always appreciate an underdog story since I can relate with it on my own life. As for most of my life, I have been the underdogand I always have to win my way to the top. After the Christmas party, I took a rest drinking a cupof Coffee Jelly Frapuccino in a nice place around campus. 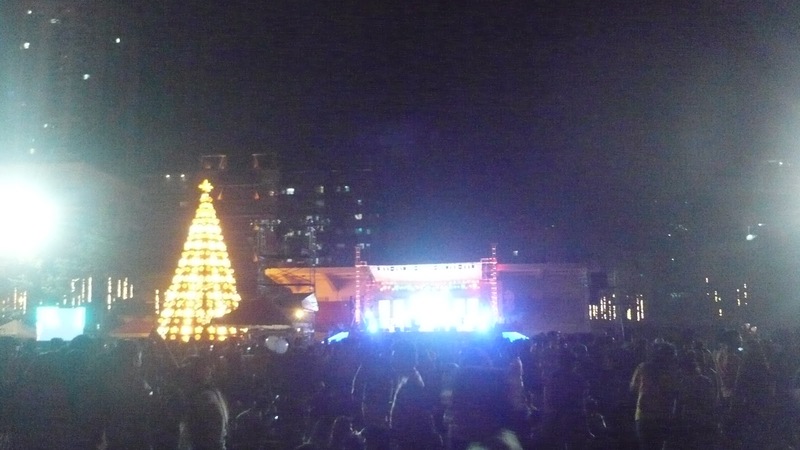 Then I went along with one of my former mentors in UST for dinner and went around campus to see people aroundand settledby the field for the Paskuhan concert with some of my friends from another section. The highlight of each Paskuhan is the fireworks display, of course UST has a distinction as the “Pyromusical Capital of the Philippines”. The fireworks lasted for around 6 minutes, it wasshorter than previous years, but it was still a sight to see. Then after, we went our own ways. Before I went out of campus, I got to see my high school friends (some of which I haven’t seen for a very long time) and got time to catch up with them for a bit. Afterwards, I went out of campus, for home. Despite having a great timeat this year’s Paskuhan, one regret I had is that I never got to spend a time of the night with my blockmates. But, I’ll make it all up to them as soon as we come back next year. Now the Christmas break has begun, a break from schoolwork and a time to spend the holidays with my family and friends. For now, I can rest, sit back and enjoy this festive time of the year. To my blockmates, until then, see you next year!